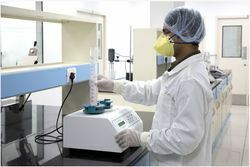 Enaltech Labs Private Limited - Manufacturer of r and d infrastructure, technical expertise & crams and cdmo since 2006 in Navi Mumbai, Maharashtra. Spread over an area of 10,000 sq. ft., the R & D lab is fully equipped with the latest fume hood systems with a variety of equipments ranging from lab hydrogenators to ozonisers. We have fully equipped Analytical lab backed with 21 CFR compliance system to meet any stringent regulatory requirements of R & D center. 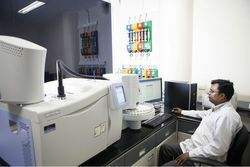 A team of 64 scientists (both in Synthesis and Analytical) working round the clock at our API R & D center. Synthesis team has vast experience in handling various complex reactions ranging from hydrogenations to Suzuki couplings with ease. Our Analytical team comprises of 30 scientist and lab assistants with experience of handling all the latest analytical equipments. We also have specialized team with vast experience in method development and validations, which supports the robustness of product specifications and compliances as per the requirement. Enaltec ensures adherence and compliance with all the applicable cGMP, ICH, GLP guidelines and regulatory requirements. We are a Contract Development and Manufacturing Organization (CDMO), offering end-to-end services to speedup launch of a new drug to the market. We offer process development and technology transfer and manufacturing through collaborative partnership. 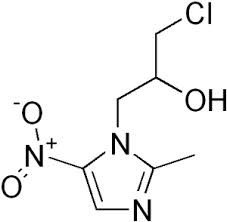 We co-develop the end product and support the entire life cycle of a drug molecule and advanced intermediate. Our R & D center and manufacturing site have been recognized by regulatory agencies in India and US. 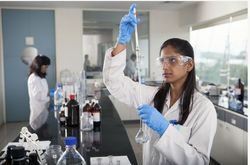 With strength of 80 scientists, we are focused to develop processes and achieve optimum cost for manufacturing under strict regulatory compliance. The Company’s own manufacturing plant is located in Ambernath, on the outskirts of Mumbai. The Plant was commissioned in 2010 and has been equipped with a focus to supply critical APIs to the highly regulated US & EU markets. The plant is WHO GMP certified and US FDA inspected twice (2013 and 2015) and has been found suitable to US FDA regulatory requirement. This plant is spread over an area of 75,000 sq. ft., which includes Administrative Block, Production Block, Quality Control, Quality Assurance, Warehouse and Utilities. It is best suited for manufacturing 2 products simultaneously in capacity of gms levels to few hundred kgs level (per month) for API’s and advanced intermediates. 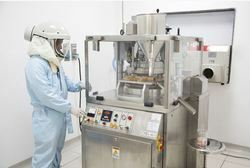 Enaltec has positioned itself in offering a spectrum of Contract Research and Development Services for the generic formulations across the globe through its two R & D sites viz. 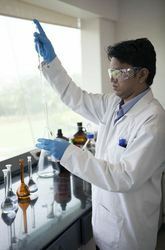 Enaltec Pharma Research and Enaltec Formulation Labs. 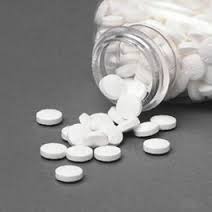 The objective is to act as a adept neutral R & D partner to big pharmaceutical generic companies with a sole intention to develop and create an intellectual property for the client. All the developmental activities carried out at Enaltec are managed and conducted intelligently, scientifically and methodically to offer the best service and on time. 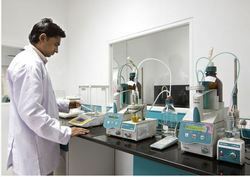 Enaltec has the capability to offer the full spectrum of capabilities in order to achieve speed to the market and the services include ranging from API and formulation development to the coordination of outsourced services such as bioequivalence studies and contract manufacturing, at locations where we enjoy a preferred customer status. Enaltec has established world class infrastructure for manufacturing APIs complying with the requirements of regulated and semi regulated markets. All the labs are GLP compliant and the manufacturing plants are cGMP approved. Manufacturing capabilities range from gram level to multiple tonne lots. 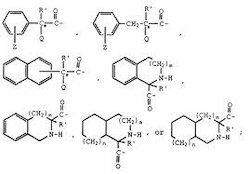 The facilities are capable of carrying out a wide range of reactions including high pressure hydrogenations and nBuLi reactions on a large scale. By: Handel Linc Display Solutions Pvt. Ltd.